Ropa Vieja with Cauliflower Rice | Small, but valuable. 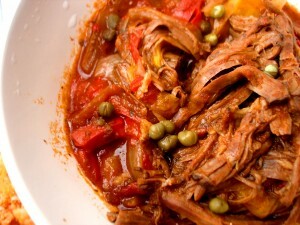 To be completely honest, I’ve never cooked this recipe for Ropa Vieja. But I have consumed it, which makes me a qualified recommender. I was reminded exactly how delicious this particular Ropa Vieja is while visiting a friend this weekend. It’s on her menu for the week, and it was immediately added to ours as well. Bonus points go to this recipe for being gluten free and including cauliflower instead of rice. Double bonus points for requiring only 10 minutes of prep time (although I feel certain that the 10 minute estimate doesn’t include the time needed to make the cauliflower rice substitute). And with that first recipe idea of the week, we’re off to the races. Happy Monday!